I want to write but I can’t find the words. Heavy dense clouds dance outside the bay windows; playing with my mind, stealing my words. Please enjoy the following pics I took from a recent hike. 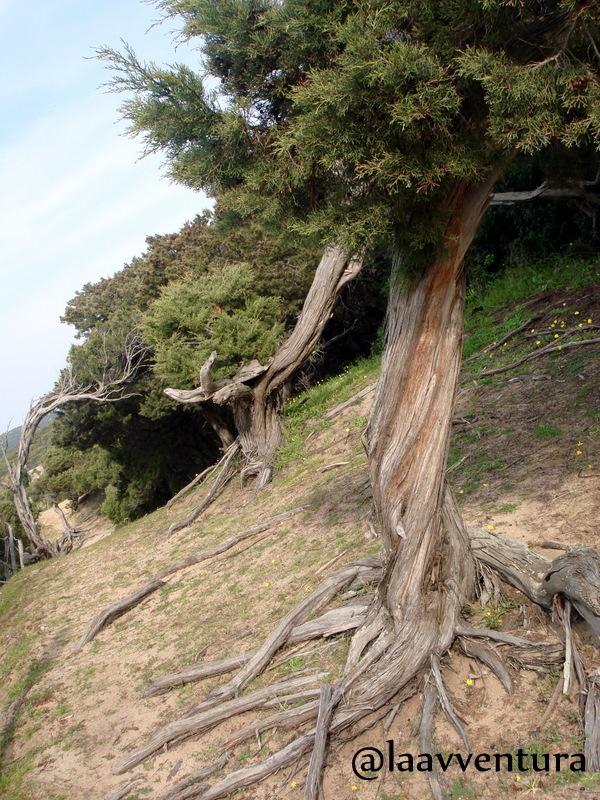 This beautiful Juniper tree lines a stunning trail two hundred yards from the ocean front. The trail is close to ten kilometers, when you get hot you can hop in the ocean. In the winter months it’s still a stunning area to play with. 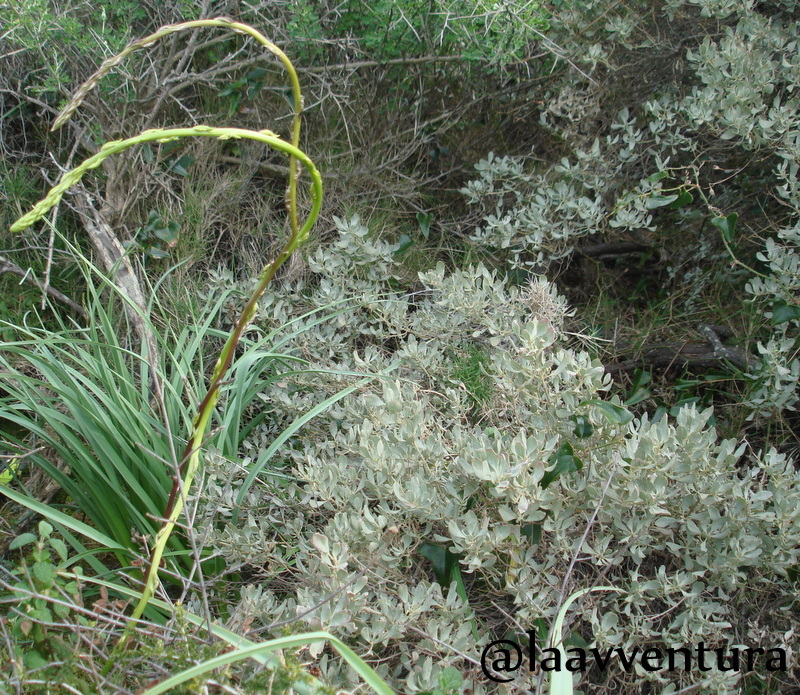 Wild Asparagus grows in the early months of the year; after the rains and after the sun has shone. They sprout among layers of green and are nearly impossible to find. Unless you have the Asparagus Eye. It’s taken me three years to get this eye. But now I have it and I love heading out Asparagus Hunting, for I Am The Asparagus Hunter. This is the most potent and delicious asparagus I have ever eaten. I use it in fritatta’s, risotto, pastas and salads. Yum! Here’s a typical Sardinian dish which this Canadian makes all the time. So easy, so simple. 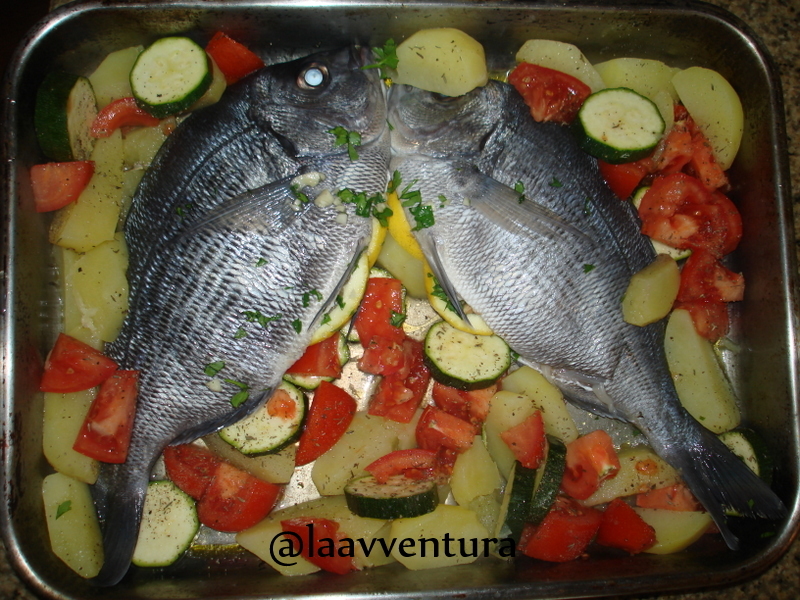 Local caught fish (this being Orate), stripped tatters and tomatoes, olives and zucchini. White wine in the bottom of the pan, some prezzemelo and garlic and off to the oven. 45mins to heaven. It does look devine! Can I replace the olives though? I hate olives with a vengence! I’m sorry the view from the bay windows steals your words – but it didn’t really, for the image you created with your words was intriguing. 45 minutes to heaven………….looks great ! !